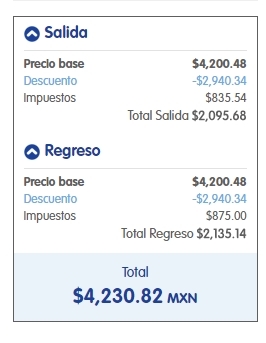 Interjet has dropped the price of their non-stop flights from Toronto to Mexico City down to between $287 and $320 CAD roundtrip including taxes. 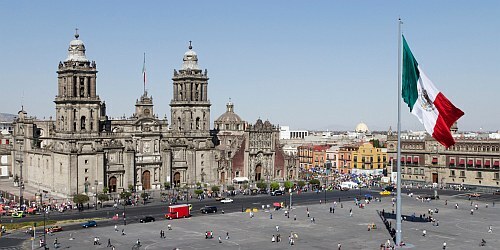 If you're comfortable booking in Spanish, you can book these flights for $287 CAD roundtrip. 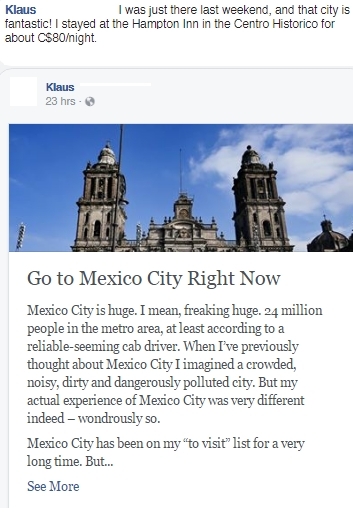 The price should show up as $4,230 pesos for a roundtrip flight. If not, you can click on 'Visualiza todo el mes' to open up the calendar view and look for the date combinations that add up to around $4,230 pesos roundtrip. 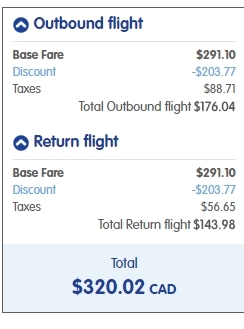 When booked with a Canadian credit card, $4,230 pesos will work out to $287 CAD roundtrip based on today's exchange rate, and including the typical credit card foreign exchange fee. (zero, zero, eight, one, zero). On the payment page, when using Mastercard, Visa, or American Express, I'm not sure if you're able to use Canadian postal codes or not. You may need to use PayPal, which is one of the payment options. Or you could try the 'postal code to zip code' conversion trick that sometimes works for U.S. websites. It could also be easier to pay through the Expedia site. toronto, yyz, mexico, mexico city, mex, north america and interjet.